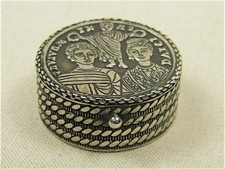 This small round oxidized sterling silver box depicts a king and queen of the Byzantine Empire. 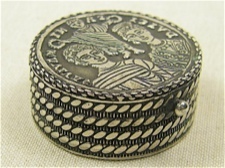 Handcrafted in Turkey, it is intricately engraved and closes with a hinged lid. 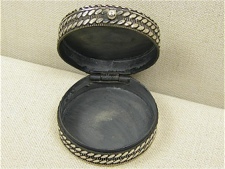 Diameter is 2 inches, height is .6 inch. 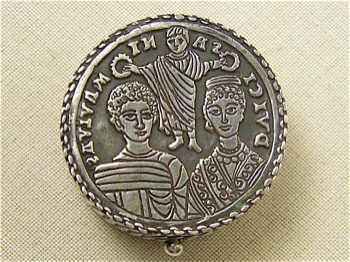 A lovely collector's piece!